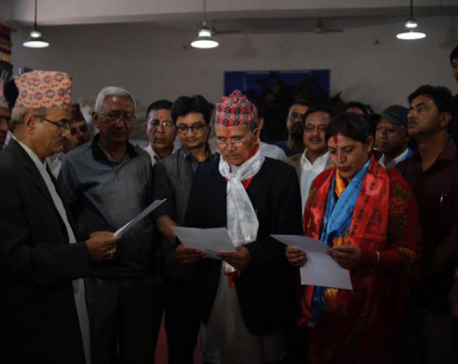 BHAKTAPUR, May 25: Childhood dream of former lawmaker and now the newly elected mayor of Bhaktapur, Sunil Prajapati, was to become an engineer. However, his family could not afford his engineering studies. In 1984, he joined teaching profession and continued it for four years. “I wanted to become an engineer. But poverty crushed that aspiration, then I took over teaching as a profession,” said Prajapati. He comes from a family whose ancestors have been masters in making clay utensils. His father, mother and uncles have been master of the art too. However, that would not fetch them enough money. “Looking back, it has been a journey through various ups and downs,” he said. Since his youth, Prajapati has been engaged in various social work. This had earned him fame in the community. In 1988's local election, Prajapati was elected chairman of Bhaktapur Nagar Panchayat - 2. A decade later, he was again elected as the chairman of the same ward. “Locals have always supported and trusted me,” he said. 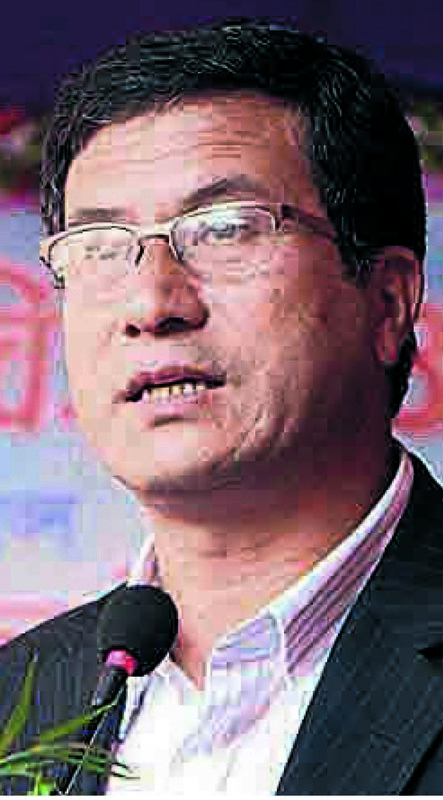 He has been popular for initiatives that aimed at promoting tourism and culture of Bhaktapur. “We are happy that he is now our mayor. He was never limited to securing his personal interests. He has always worked for the welfare of the community. He is the best person to lead this metropolitan,” said Shiba Bala, a resident of the metro. Apart from teaching, Prajapati is also an advocate. “I felt that law is also a way to connect with people and serve them. This attracted me towards the subject,” Prajapati said. “I am a peasant's son and I feel good to have come so far,” he added. Prajapati is also a founding member of Kanun Adhyan Samaj, affiliated to Nepal Workers and Peasants Party. He was elected lawmaker in the first Constituent Assembly from constituency number 2 of the district. He said that his nomination was filed as per his party's wishes and added that his actions will be depend on the party's decision. “The Nepal Workers and Peasants Party has always worked for the welfare of the poor people. Whatever the party wants, I will follow with full integrity. We don't have personal interest,” he said adding that his party has solid plans for the holistic development of Bhaktapur, which includes making it an education hub, a better tourism center, and a cultural city.